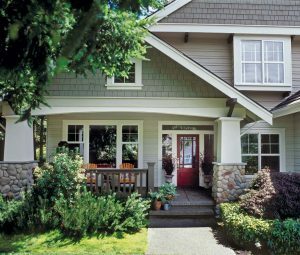 Most Americans love porches; after all, they make for great curb appeal. You can relax, and visit with friends, take a break with some iced tea while doing yard work, or enjoy a beautiful sunset. They are a very important architectural feature in a home. 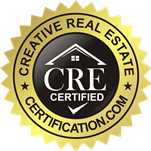 While you don’t need to be an expert, it is important that you learn some of the design and real estate language when shopping for a house. 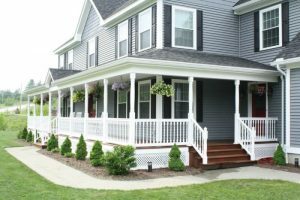 Here are four popular American porch styles. 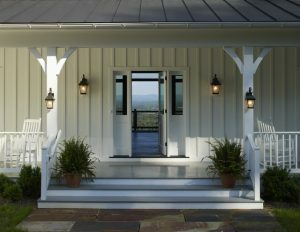 Farmhouse porches have a wraparound layout, and are very modest. They were first created with the intent to cool the house’s interior, as it was usually very hot. The porches are practical and simple. You will never see an ornate farmhouse porch. These porches are known for opening up to the yard, and they are usually very low so that you can step directly to the side onto the ground. The porches boast wooden railings, with a decorative lattice underneath it. Screen porches are often used, to keep out bugs. The floors are usually stained or painted (always wood), and the ceilings with paint or tin. Most farmhouse porches have wicker furniture, while some homeowners use cast iron furniture. There will always be a porch swing and a screen door. Colonial porches are very popular and prevalent in the South, as they have classic columns on the front of the house that help with the heat. They are noted for their symmetry, and formality. They have large, two-story pillars to simply paired columns that stretch across the outside of the home. Sometimes, wood or aluminum railings are used which show Chippendale style work, or herringbone patterns. Central doors with fan lighting and side lights are used to add balance. The ceilings of the porch are almost always painted light blue. Fun fact, one reason that the ceilings are painted this color is that it detracts wasps and bees. Furnishings on the porch should always be tasteful in order to go with the style of the porch. They should include rocking chairs, settees, and planters (and of course lighting). Sometimes, you will see a chandelier on the grandest of porches. You will always see ceiling fans on the ceilings of colonial style porches. 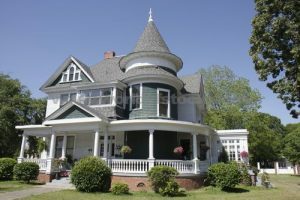 Queen Anne style homes are known for being ornate. Therefore, you can expect the porches to be the same. They are always very decorative, and have recessed 2nd story retreats. These porches were literally designed to impress other homeowners. The wooden machinery created in the 1800s made it possible to create such elaborate porch pieces, and it also allowed them to be more affordable. These porches usually have finials, spandrels, friezes, and carefully detailed spindle work. There are sometimes fish-scale shingles and etched windows (made of stained glass). Space is a very important component in Queen Anne architecture, and that goes the same for the porches. So, you will generally see that they are large. Usually, the porch furniture consists of wrought iron. Bungalow style porches came from the Arts & Crafts style movement. These cottages were made to be affordable, and boast low pitched roofs to feature porches that open straight to the garden or yard. The style of the porch is built in order to encourage a connection with the neighborhood, which is why they are so “open.” Bungalow porches are usually created from natural and handcrafted materials. The porches usually have large columns or pillars, always created from brick, stone, or wood. You will also usually see wood piers, or railings that link to the columns. In terms of color scheme, Bungalow porches are almost always very, very rustic, utilizing earth-tone colors. The flooring is usually made of wood, concrete, or concrete laid under ceramic tile, or brick. I think Colonial style porches are the most beautiful. I visited New Orleans and the porches there were so beautiful. The porch furniture was even prettier. I like how simple the homes are there. I agree. I’ve visited there before and the homes are just spectacular. I prefer Victorian style porches, though. Some people think they’re really gaudy, but I think the detail it takes to create Victorian homes and porches is exquisite, and I can really appreciate it.